i love this! my keyblades look soooooooooo sweet and tight! 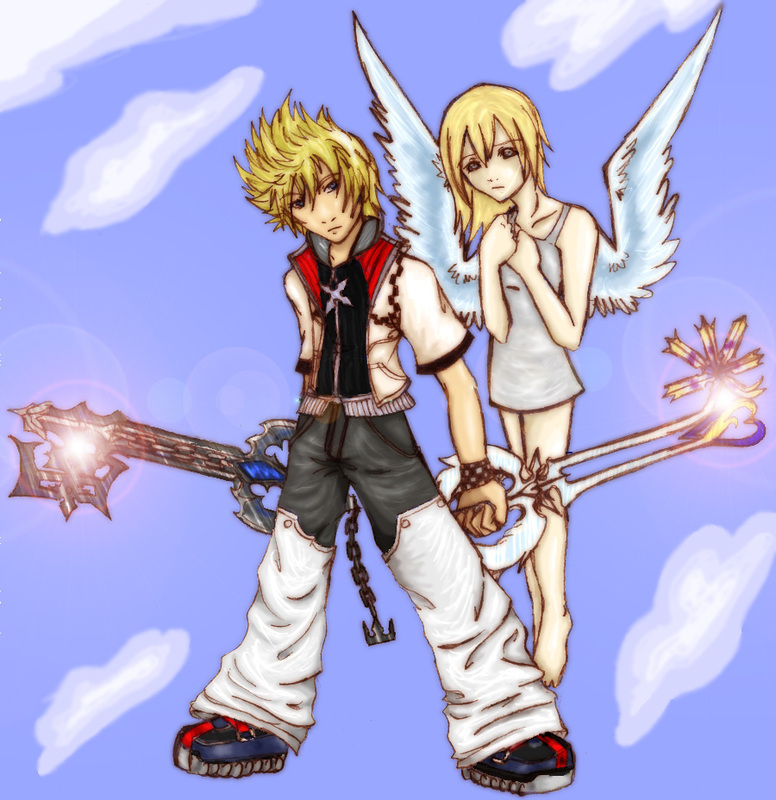 namine is realy my garden angle in this pic! The detail is excellent on this. The coloring is also really good, even if the background is plain. hey, bad is when your scanner dies, and all you can do about it is take pictures of your artwork. it SCREWS the detail. that's bad. this is awesome! Wow, this is a nice pic! I like it. Hope you keep this kind of stuff up!